It has been awhile , it has been a lot of time. Just as one would think that the case of the Egyptian POWs is fading away with all what is going in Egypt from political changes, the case returns back in the most unexpected way. In the past two months, there has been a huge controversy about the Egyptian Saudi deal to redraw the maritime borders. According to that deal , the Egyptian government gave up Tiran and Sanafir isles in Tiran strait to Saudi Arabia. There has been a lot of debate as you may have known. Many Egyptians as well political figures, powers and parties rejected the deal. The deal is being disputed in front of the Administrative court and it is expected to be discussed by the Egyptian House of Representatives according to Constitution. Now as there is a huge debate currently in Egypt about whether the two Red Sea isles are Egyptians of not, people began to share maps, legal documents and testimonies on how Egyptian soldiers were stationed on those two islands and that those soldiers did not fight for a foreign territory. Do you remember Israeli “This is us” documentary which included a very rare footage for Egyptian POWs mistreated during their capture by IAF in Al Arish in June 1967 !? In 2012 we had only 2 minutes only from that documentary directed by Eric Bernstein , well there are more two extra minutes from the same documentary. to recount the events of the what happened in the war that changed the Middle East forever. This account did not mention the documented war crimes committed by the IDF against the Egyptian POWs as well Egyptian citizens and Arab citizens in general during the war. It neglected the fact that thousands of civilians in the Suez cities canal were killed in the air strikes of the IAF where the internationally banned Napalm bombs were used. Thousands of Egyptians were forced to be displaced. Israeli Website “Walla” published last Friday “12/10/2012” footage from a documentary filmed in June 1967 showing how the Egyptian POWs from soldiers and officers were abused by the IDF in Al Arish airport prison camp. It is horrible 2 minutes footage , this was just the tip of the ice-berg for real. Today is the anniversary of the 6th of October 1973 war , today we remember all our fallen soldiers and officers as well our POWs whether in 1967 or in 1973. 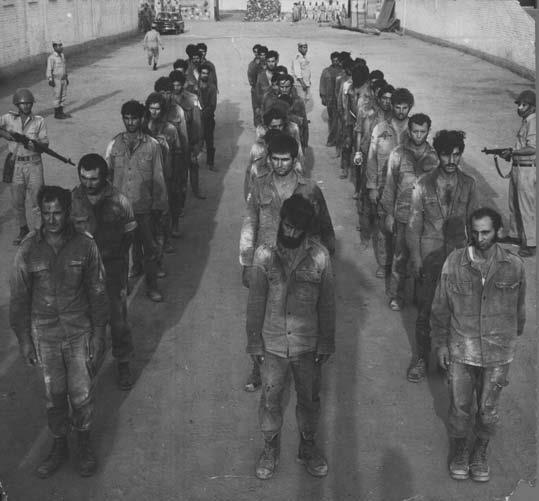 Today we also remember the treatment of Israeli POWs in Egypt and how it is quite different to what our Egyptian POWs faced in 1956 and 1967. In this occasion , I would like to share with you a rare Egyptian documentary directed by late famous director Shady Abdel Salam in 1975 about the war and the Egyptian soldiers. The documentary in Arabic includes the testimonies of Egyptian soldiers including those who had been captured by Israeli forces.